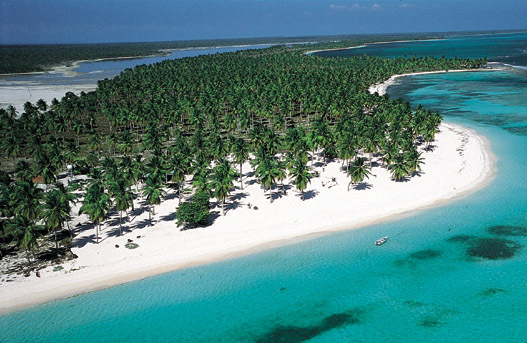 Explore Punta Cana with Now Larimar! With activities suited for every age and interest, there’s always something to do at Now Larimar Punta Cana! Guests can relax and unwind poolside or on our private stretch of white-sand beach, try their luck at our on-site casino, tee off at a nearby professional golf course or check out one of the many entertainment shows and holiday parties hosted at Now Larimar! For those interested in exploring what Punta Cana has to offer beyond our resort, there are plenty of exciting options to choose from! 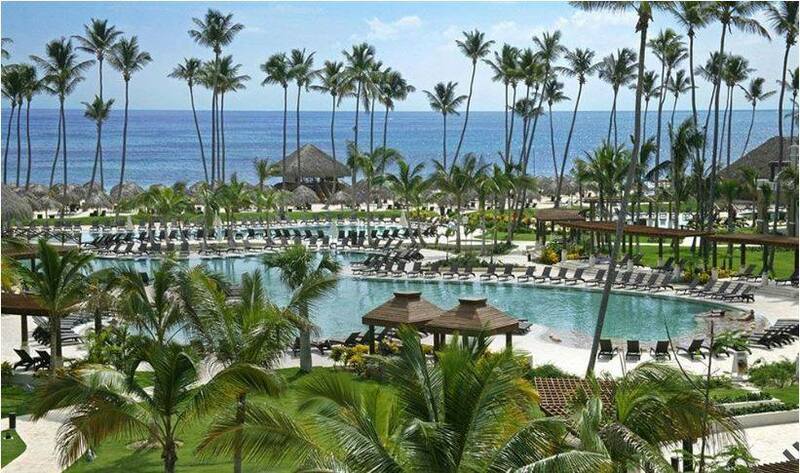 There is something fun to do for every age and interest at Now Larimar Punta Cana! Altos de Chavón A fascinating recreation of a 16th century Mediterranean village on a cliff overlooking the Río Chavón. Isla Catalina: Located approximately 1.5 miles from the mainland, this small island has an incredible coral reef for snorkeling and diving. An ideal day trip for water activities. 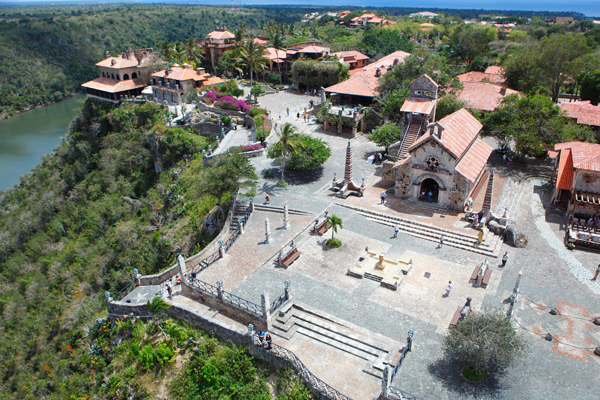 Explore Altos de Chavon during your stay at Now Larimar Punta Cana! 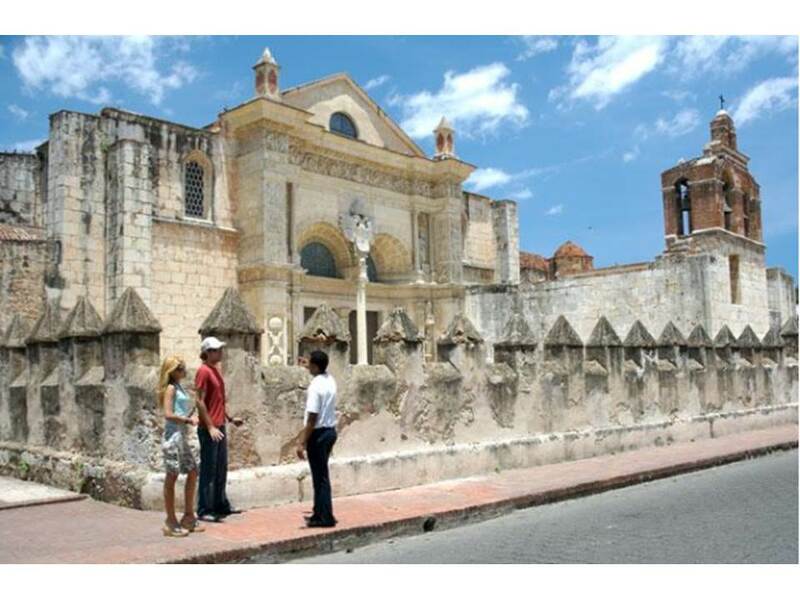 Go on a tour of Santo Domingo City during your stay at Now Larimar Punta Cana! Want to stay close to the resort but still explore some of the unique sites and fun activities that Punta Cana has to offer? Consider planning an excursion through Amstar. Sanona Palmera: Enjoy a relaxing all day excursion to Saona Island! This boat tour is extremely popular and good for all ages! Wild Tiger Buggies: Have fun while driving your own off-road buggy in the Dominical Republic. See the tropical nature up-close while you venture into rice fields. Zip Lines: Get an eagle’s eye view of the beautiful Dominican coastline, flying from platform to platform over the amazing tropical jungle. To learn more about tours close to Now Larimar Punta Cana, visit Amstar’s website. Spend the day relaxing at Saona Palmera during an excursion from Now Larimar Punta Cana! 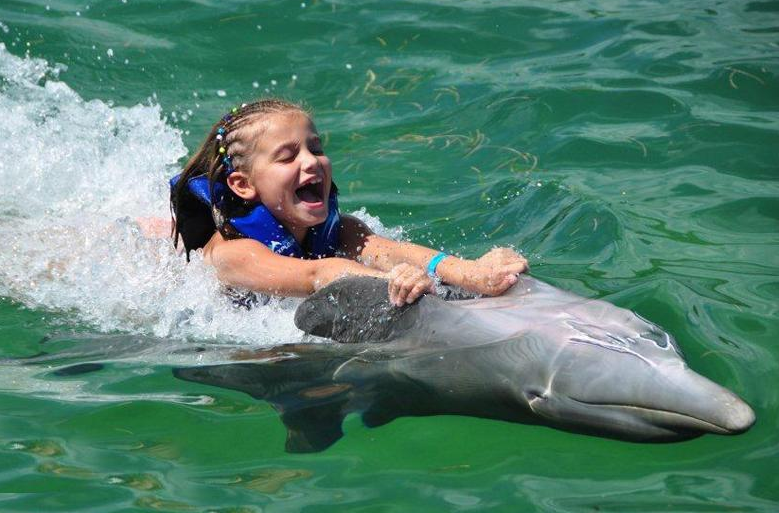 Be a Dolphin Explorer with an excursion from AMSTAR during your stay at Now Larimar Punta Cana! Photo courtesy of AMSTAR. Ready to book your trip to paradise and experience all the fun activities that Now Larimar and Punta Cana has to offer? Book your stay today and enjoy three times the savings with Triple Play for savings up to 50%, up to two kids stay free, and up to $400 in resort coupons to use on spa treatments, private romantic dining and more! There’s more to Riviera Cancun than just white sand and amazing beaches. In fact, the area played an important role in the early years of our civilization. 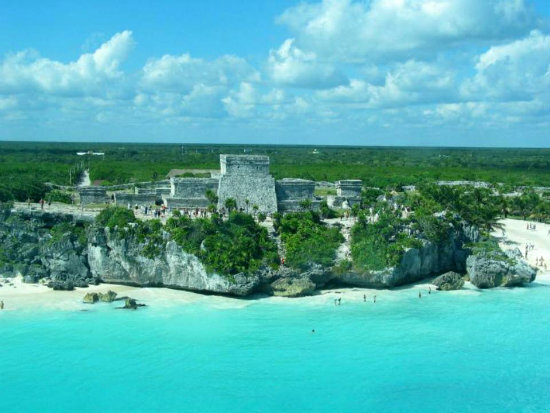 Tulum—located just a short drive from Now Jade Riviera Cancun and Now Sapphire Riviera Cancun—is a walled, coastal city built by the ancient Mayans. The first indication of civilization at the site dates back to 500 A.D., while the city was in its prime around 1200 A.D.
Take a day trip to this historic and impressive site during your stay at Now Resorts & Spas. Prices range from $39 for kids to $59 for adults and each excursion includes a bilingual guide, air-conditioned transportation, entrance fee to the archeological site, guided tour, water and free time on the beach. Talk to your concierge upon arrival to book this memorable outing! It’s always fun to plan day trips and excursions while vacationing in the Caribbean. Guests at Now Jade Riviera Cancun and Now Sapphire Riviera Cancun have plenty to do at the resort but also offer guests the opportunity to plan several fun and exciting outings throughout Cancun. 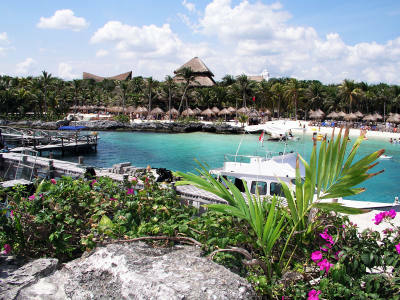 If you and your family love the water, Xelha Natural Aquarium Water Park is perfect for you! It’s a natural aquarium park , which is considered to be the largest of its kind, and boasts an unbelievable number of options of water activities like snorkeling, swimming with dolphins and even cliff jumping. The park even offers a children’s world, where your kids can enjoy all the beauty of the natural environment in a safe and supervised manner. Whether you’re diving, doing a Sea Trek® (walking under water) or exploring a grotto, Xelha has a unique experience for everyone! Speak to your Concierge today to plan your day trip! Dolphins are very intelligent and playful marine mammals, making them very exciting swimming buddies! While visiting Now Amber Puerto Vallarta, take an opportunity to go on an excursion into Puerto Vallarta to swim with these interesting ocean creatures. You’ll get to see them up close, feed them their favorite delicacy (fish!) and even learn how to interact with them like a professional dolphin trainer. The experience at Vallarta Adventures is sure to leave you with an unforgettable experience and a very exciting story for friends at home – and it’s only 12 miles from Now Amber Puerto Vallarta! As most of you know, there are two Now Resorts & Spas located in the beautiful Riviera Maya–Now Jade Riviera Cancun and Now Sapphire Riviera Cancun. The Riviera Maya is located on the northeast coast of the Yucatan Peninsula in the state of Quintana Roo and boasts absolutely amazing beaches and exciting entertainment. If you’re visiting us soon at Now Resorts & Spas, here are five things to-do on your vacation! 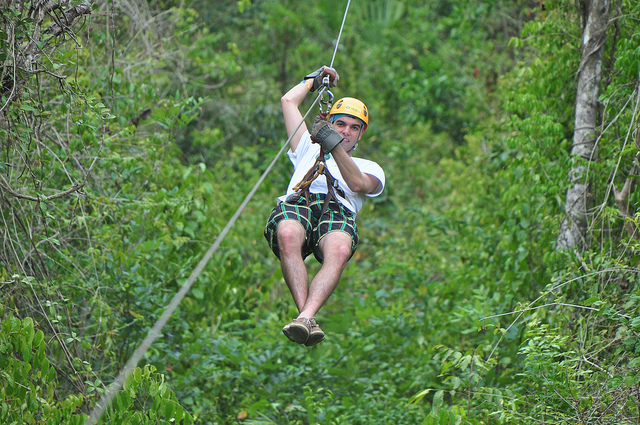 Selvatica – Rated as the #1 Tourist Attraction in Mexico, Selvatica is an extreme canopy adventure with 12 of the longest and fastest zip lines in North America. Feel a sense of accomplishment as you zip through the tree tops and take in the beauty of the surrounding area. Once the tour is finished, cool off with a refreshing dip in a natural cenote on property, then finish the day off with a traditional Mexican lunch. 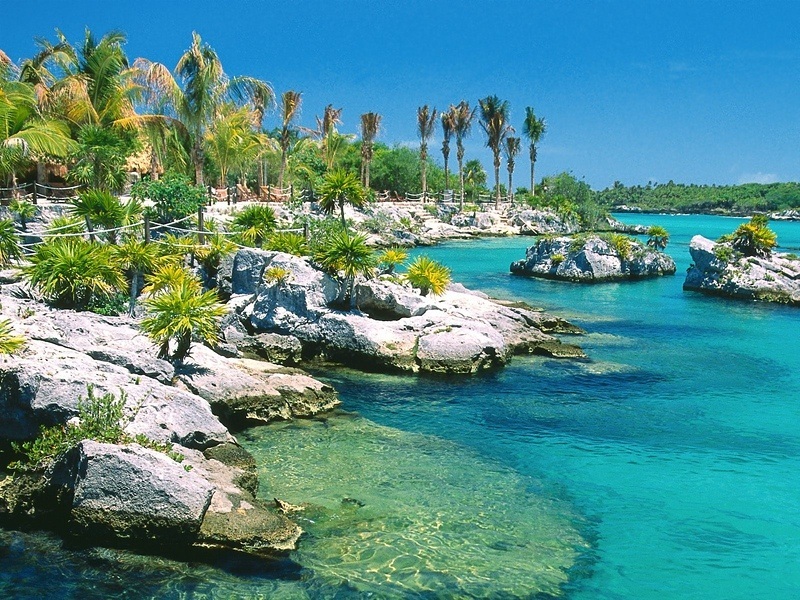 Xcaret – Spend a day of amazement interacting with Mexican culture at Xcaret, one of the most spectacular ecological theme parks in the world. Leisurely stroll the 200 acre park and visit the beautiful wildlife displays, swim in the underground river or enjoy the phenomenal shows and entertainment. 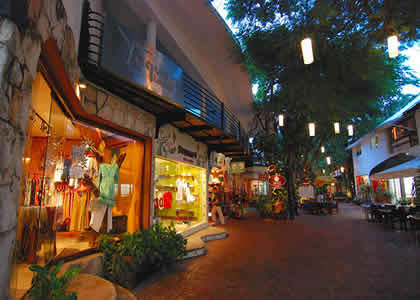 Playa del Carmen – Stroll along “La Quinta Avenida” of Playa del Carmen, which is filled with numerous shops, cafes and restaurants. You can shop for everything from crafts to expensive silver, interesting art, rum and the even the latest clothing trends from Europe. There are also a number of bars along 5th Ave making it a great place to grab drinks with friends or go dancing after the sun goes down. 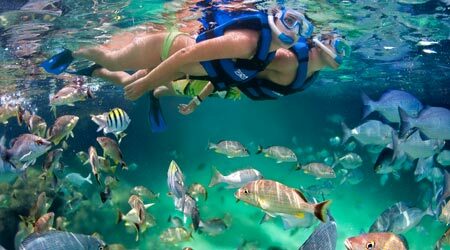 Xel-Ha – Snorkel in the largest natural aquarium in the world. Experience the rich underwater life and luscious jungle surroundings, while taking part in numerous attractions and activities at Xel-Ha. With so much to choose from, there’s sure to be something for everyone in the family! To take part in any of these activities during your stay with us, simply stop by our activities and our team will be happy to help you arrange these adventures!